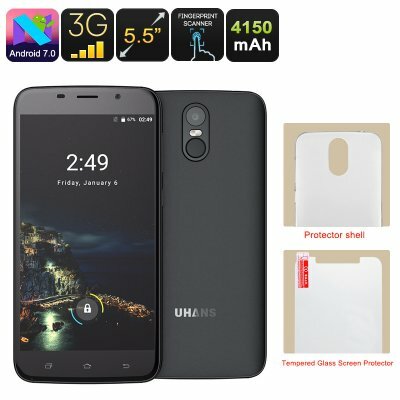 Successfully Added Uhans A6 Android Phone - Android 7.0, Quad-Core CPU, 2GB RAM, Dual-IMEI, 5.5 Inch HD Display, Google Play, 4150mAh (Black) to your Shopping Cart. The Uhans A6 is an affordable 5.5-Inch Android phone that lets you enjoy all your media and favorite Android features to its most. On its beautiful HD display, this Android smartphone brings forth absolutely stunning visuals. You will be able to watch all your films and play games in crisp 720p resolution. Thanks to its large screen, this truly brings forth a mesmerizing visual experience. Whether you’re into games or movies, this Android phone is sure to meet all your media demands. With its MT6580 Quad-Core processor and 2GB RAM, it is capable of handling the latest Android Apps without dropping a frame. By providing access to the Play Store, you’ll be free to choose from millions of free media files to be installed onto your new smartphone. From now on, you’ll never have to feel bored again. This cheap Android phone brings along Dual-IMEI numbers. Thanks to this, you’ll be able to be connected to two different network providers at the same time. This brings along great efficiency for those of you that wish to separate work and private life into one Android smartphone. Additionally, it lets you insert foreign SIM cards to access the internet at local rates while at the same time staying reachable on your old number to friends and family back home. With WiFi and 3G support, you can be guaranteed that this cell phone keeps you connected no matter where you’re at. With its Android 7.0 operating system, the Uhans A6 brings forth a smooth performance. You will be able to use the latest software features without ever experiencing any lag. The 16GB of internal storage provides you with enough space to save the Apps of your liking. For those of you that need more memory, it supports a 64GB SD card slot. No matter what type of smartphone user you are, with this Android phone at your side you’ll never have to worry about storage space. By packing a powerful 4150mAh battery, the phone brings along a whopping 12 hours of usage time. This is enough to get you through the most demanding of days without needing to recharge. 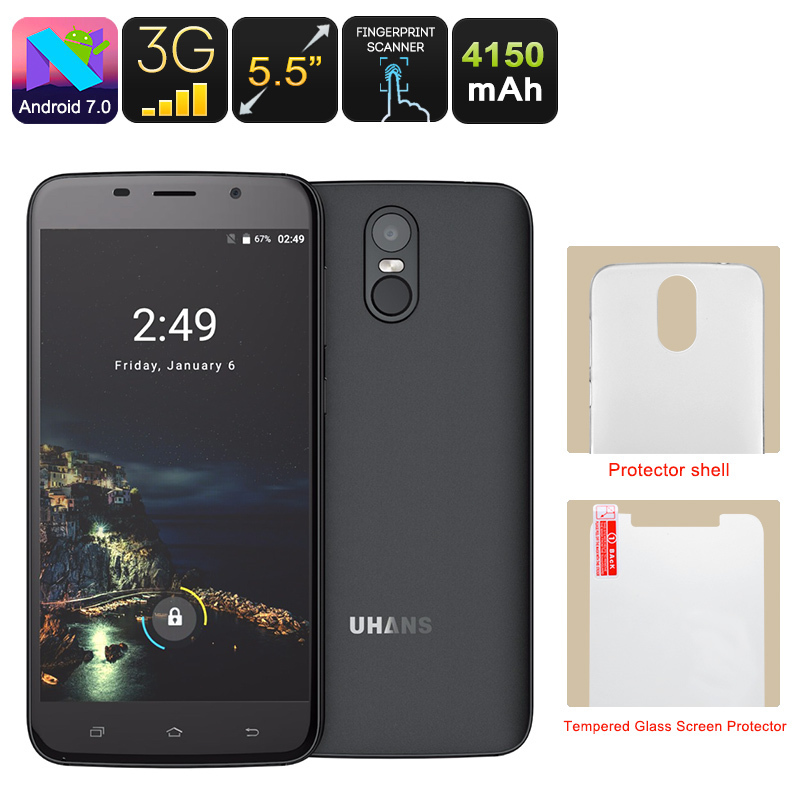 This cheap Android phone comes with a 12 months warranty, brought to you by the leader in electronic devices as well as wholesale electronic gadgets..